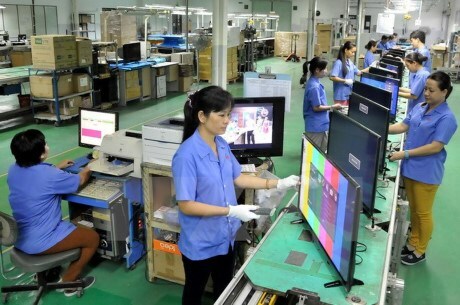 Hanoi (VNA) – The Ministry of Labour, Invalids and Social Affairs (MoLISA) is proposing Thailand offer more sectors and services to receive Vietnamese workers. The MoLISA and the Thai Ministry of Labour signed a Memorandum of Understanding (MoU) on sending and receiving labourers in July 2015. This is the first agreement of the two countries that has created a legal framework for the recruitment of Vietnamese workers in Thailand and vice versa. The two sides will pilot the dispatch of workers for the construction and fisheries sectors. Since the signing of the deal, the two ministries have conducted three technical meetings among their relevant agencies to agree on essential contents, including procedures to bring Vietnamese workers to Thailand. The labour cost that a Vietnamese worker has to pay when working in Thailand is about 2,600 Baht per year, including health insurance, working permit license, and registration fees. The round-trip air tickets will be paid by Thai employers. The two sides also agreed on the samples of labour contracts. Thailand has provided labour handbooks for Vietnamese workers to study basic information about the host’s society, culture, and customs, as well as labour contract, social and health insurance interests, labour safety, law on migrant workers, and assistance addresses. The Thai government has granted licenses for free Vietnamese workers - who must meet some requirements - from December 2015. According to the Vietnamese Embassy in Thailand, nearly 50,000 Vietnamese workers are working without official contracts in Thailand. The MoLISA has selected some experienced businesses in the construction and fisheries sectors and having Thai partners to supply workers. Agencies that are licensed to send Vietnamese workers to Thailand include the Overseas Labour Centre and the employment service centres in Nghe An, Ha Tinh, Quang Binh, and Quang Tri. Businesses that are also permitted to send Vietnamese workers to Thailand are the Internantional Manpower Supply and Trade Company Ltd (SONA), Tourist, Trade and Labour Export Joint Stock Company (TTLC), Thinh Long Investment and Trading Corporation, Hoang Long Investment Construction & Manpower Supply Corporation.